Nifty decor hacks are available in plenty over the Internet. How about picking up some tricks to repurpose rejects and junk to create natty new things to spruce up your space, instead? The Lighthouse Cafe(TLC) owners Georgie and Rahul shared some incredible repurposing hacks that they used to deck up their own cafe. Most of us have that old wooden trunk, from several decades back, gathering dust in one hidden corner of the storeroom. Probably belonging to our grandparents or our parents, these seem drab for our taste to use anymore. But Rahul and Georgie used one such (an old trunk that belonged to author Aveek Sen) to make a coffee table out of it. Simple and modest, you can use yours to add a folksy homespun touch to your space. In case you don't have one, you can hit the scrap dealers in Phears lane to spot some of them. This one really got us intrigued. 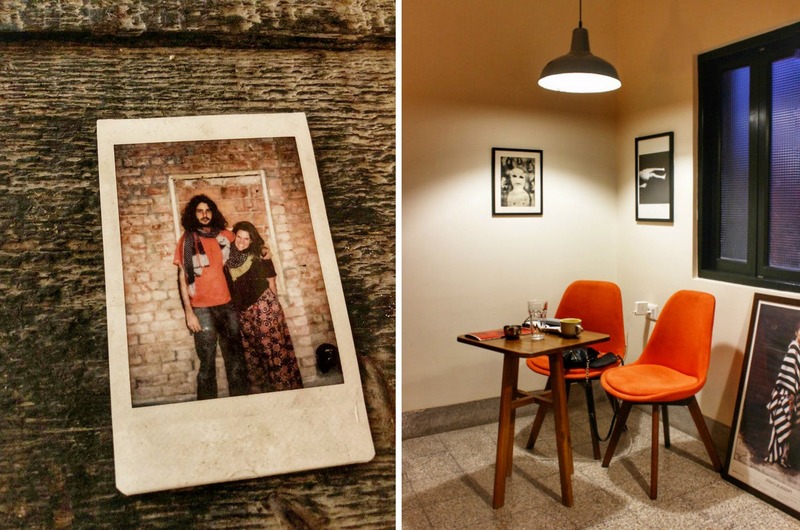 Skipping the usual modern day lamps, Rahul and Georgie added some retro to their space by using old pool-table lamps. With most of the pool bars having shut down in Kolkata, TLC owners found these interesting enamel coated pool table lamps in the Russel Exchange auction house and hung them over their coffee tables. A cool way to recreate the passe look, these wide-brimmed lamps will be a great addition to brightly light up your dinning area. Spotting a wooden cargo box lying somewhere in the storeroom is no biggie, really, because most of us at some point have ordered or shipped something that came in a cargo box. Rahul and Georgie turned their large wooden cargo box into a coffee cabinet and stand. Interestingly, they also bought some smaller cargo boxes from daily market vendors (check with your local fruit) to make them into tables. So, if you also have one lying around, spay paint it like the TLC owners and upcycle it as your cabinet or table. Embracing sustainable living practices is the need of the hour today. Like recycling, repurposing and reusing are important practices too. With this understanding in mind, TLC owners, when decking up their cafe, made of use bricks from a wall they had removed. So, instead of tearing down the wall they carefully removed one brick at a time to reuse it again in building their coffee counter. Pick this tip and try it next time you have a floor to plan or replan. Nothing perks up a space as much as adding a little green does. While pretty tumblers are always just a store away, if you have some space it's a good idea to add a file of soil and plant plants in a row. Follow Georgie and Rahul and make a little fence with wooden pellets that keep lying around our garage.